As a Wedding Photographer, I love to photograph at Tamaya Resort. It is just a 20 minute drive North of Albuquerque, but is a real escape from the city. 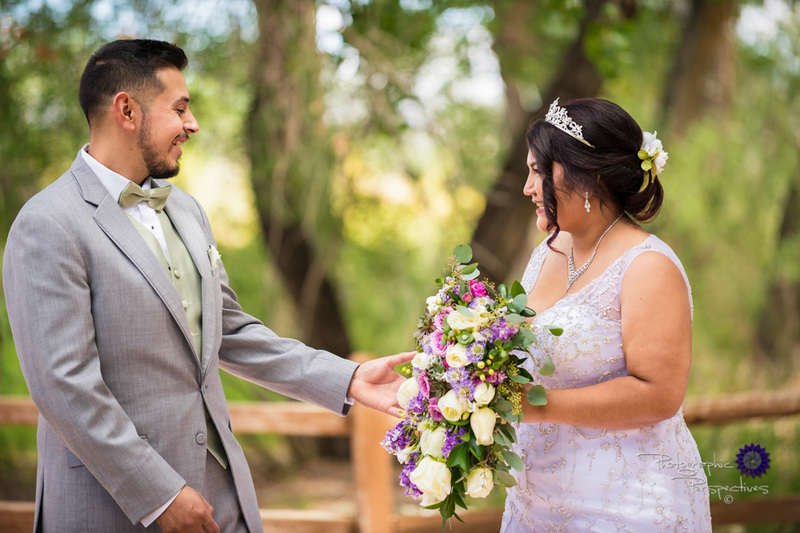 It has a wide open space surrounding the 550 acre resort with stunning views and backdrops which offer the perfect setting for wedding photography, and/or wedding video, with unobstructed views of the Sandia Mountians, the Rio Grande Bosque, Rio Grande River. There are many locations within the resort. This bridal portrait was taken near the Cottonwood Pavilion. 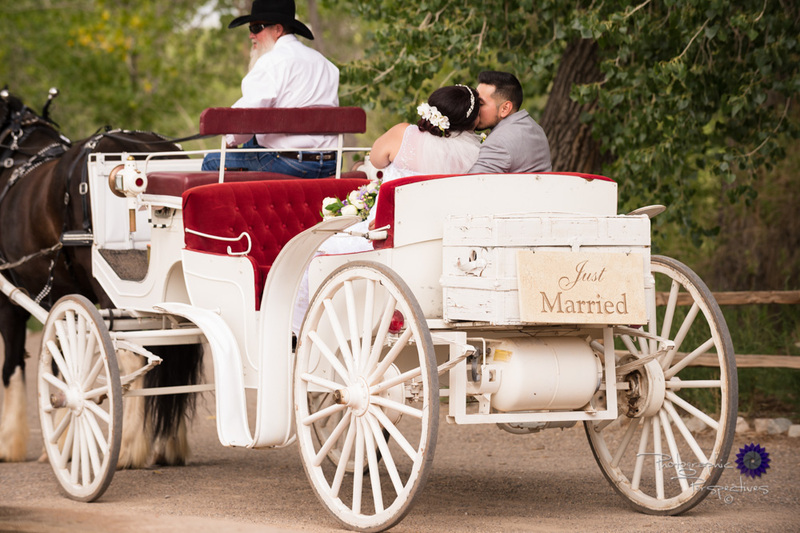 There is nothing as romantic as riding away on a horse drawn carriage! Cottonwood Pavilion has a lovely path along the Bosque. What a great way to escape for a few minutes an enjoy a leisurely stroll in the Bosque. This next set was taken in the fall. Tamaya has beautiful fall colors with hundreds of natural wild cottonwood trees. In addition to the gorgeous fall colors, there are is a wonderful view of the Sandia Mountains. Albuquerque’s top wedding photographers love to photograph weddings at the Tamaya! Preferred Photographer at Tamaya since 2012! Having photographed many events and weddings at Tamaya, we have many suggestions for locations to photograph and have access to take you to some nearby picturesque locations. Interested in having us film or photograph your wedding? Contact us today. We are currently booking weddings for 2020 and have a few dates available for 2019.